A group of students and parents filed a lawsuit against the University of Southern California, Yale University, and other colleges involved in the massive college admissions scandal, now called “Operation Varsity Blues.” In addition to the colleges, the lawsuit names the mastermind behind the scandal, William “Rick” Singer, as a defendant. Singer founded The Key, which he fronted as a high-end college advisory business, all while using copious amounts of money from anxious parents to bribe officials of top-tier American universities to admit their underqualified children and to help students cheat on college entrance exams, often without their knowledge. Amongst these parents are actresses Lori Laughlin, who paid Singer a total of $500,000 for her two daughters to get into the University of Southern California (“USC”), and Felicity Huffman, who gave Singer $15,000 to help her daughter cheat on the SAT exam. Stanford University students Erica Olsen and Kalea Woods originally filed suit against Singer, The Key, and nine universities, including Stanford. Olsen has since dropped out of the action, but other students and parents have joined Woods, each alleging they were denied admittance to one of the schools named in the action. 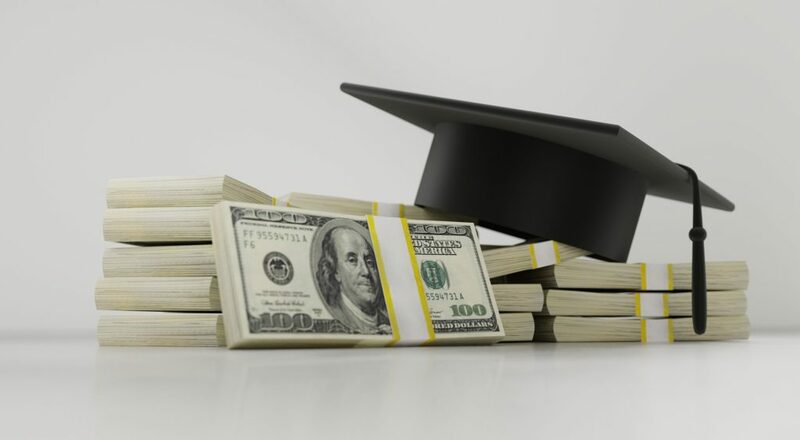 The majority of students are accusing these schools –Stanford, UCLA, USC, the University of San Diego (USD), the University of Texas at Austin (U-Texas), Wake Forest University, Georgetown University, and Yale University- of accepting their admission application fees without properly assuring their admissions process was fair and “free of fraud, bribery, cheating and dishonesty.” They claim that they have suffered an economic injury due to this unfair competition, and those who were denied admission seek reimbursement for the application fees at minimum. Students who attend one of the aforementioned schools and their parents allege in the claim that a degree from any of these universities is now significantly devalued because of this scandal. These private actions came after the massive indictment of thirty-three parents on charges of conspiracy to commit mail and wire fraud. In addition to Singer, employees at The Key, college entrance exam administrators and proctors, and several college sports coaches face charges of racketeering conspiracy, money laundering, mail and wire fraud, and conspiracy to commit mail and/or wire fraud. Universities have fired several of the coaches charged in the indictment, who had falsely reported certain students as “recruits” to get them into schools; in most cases, those students did not play any sport at all. The Hallmark Channel has cut all ties with Lori Loughlin, who starred in many television movies for the channel. Several other parents have lost their jobs or have resigned in the wake of the indictment. The U.S. Department of Education is investigating the universities more closely to discover if any violations occurred on their end. “Every student deserves to be considered on their individual merits when applying to college, and it’s disgraceful to see anyone breaking the law to give their children an advantage over others,” U.S. Education Secretary Betsy DeVos said in her statement on the matter.